Australia’s DIBP (Department of Immigration and Border Protection) has agreed to allow 15,000 immigrants to bring their parents to Australia every year with a new temporary sponsored parent visa from November 2017. With a processing time of fewer than two years, the Contributory Parent visa (subclass 143) application fee costs AUD47, 295 for the main applicant, besides an Assurance of Support Bond. The government of Australia is hoping that those arriving with the new visa will undertake family roles, allowing grandparents of expats living in Australia to take on some onus of raising their grandchildren. This will cut down the pressure on childcare facilities, besides will aid in making stronger the social fabric of the many immigrants in Australia. 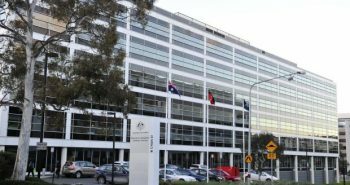 This new visa allows foreigners who have gained Australian citizenship or permanent residency to sponsor their parents to reside in Australia for a maximum of five years at one time. To allow for an aggregate stay of up to ten years, this visa can be renewed from outside of Australia. This visa prohibits its holders from working so that the aforementioned benefits are realized. Alex Hawke, Assistant Immigration Minister, was quoted by The South African as saying that this visa will allow grandparents to be available and able to take care of their grandchildren while the parents are away at work. To ensure that parents do not increase the Australian government’s expenditure, it has been made compulsory for the visa sponsors to bear their private health care costs. To sponsor parents under this visa, the sponsor should be a biological child or stepchild or an adopted child; a permanent resident or a citizen of Australia or an eligible New Zealand citizen; must have resided in Australia for a minimum of four years, must be earning a stipulated amount; meet the character needs; and accept liability lawfully for any outstanding public health debt their parent who has been sponsored owes the government. If you are looking to migrate to Australia, get in touch with Y-Axis, a prominent consultancy for immigration services to apply for a visa.